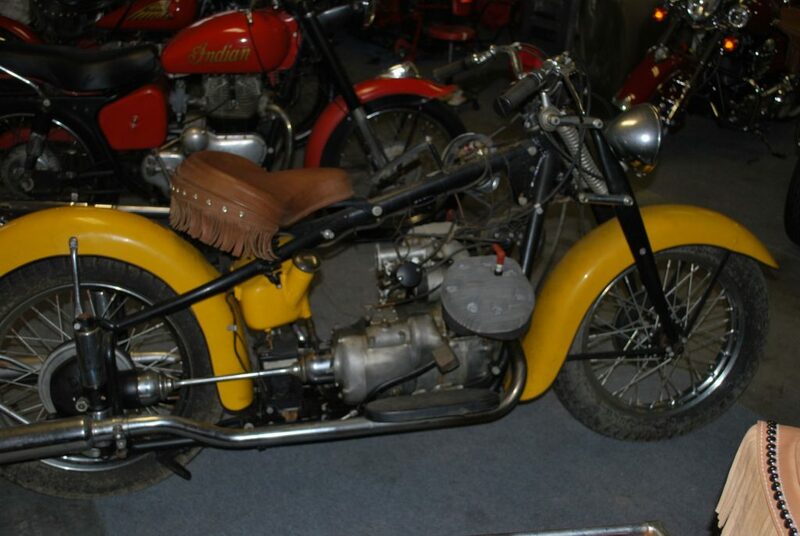 This 1941 model 841 is a rare find. It is a factory civilian bike. This bike was designed for military use during WW ll. 1000 military models were produced. Very unique bike for the time with a 4 speed foot shift and hand clutch. Harley didn’t offer such a thing until 1952. 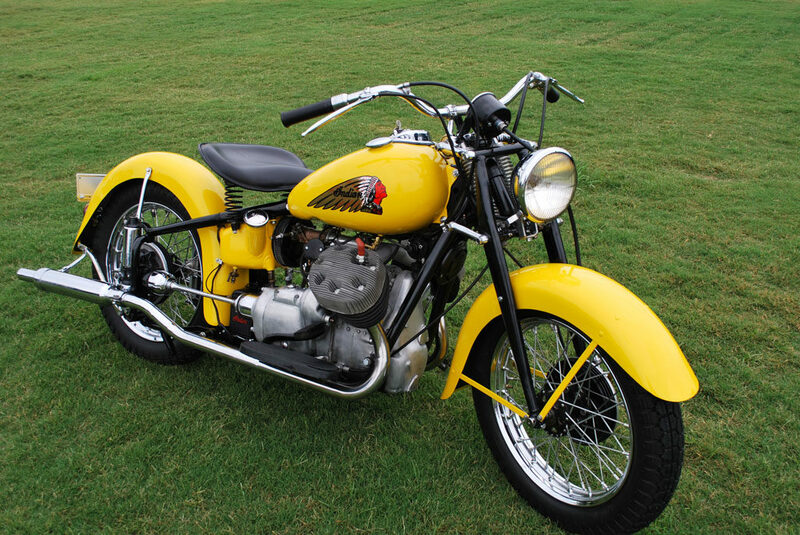 After the 1000 units were manufactured a very small number came out of the Indian factory with a single carburetor instead of the duel carb found on the military model. Some additional internal and external modifications were made as well. 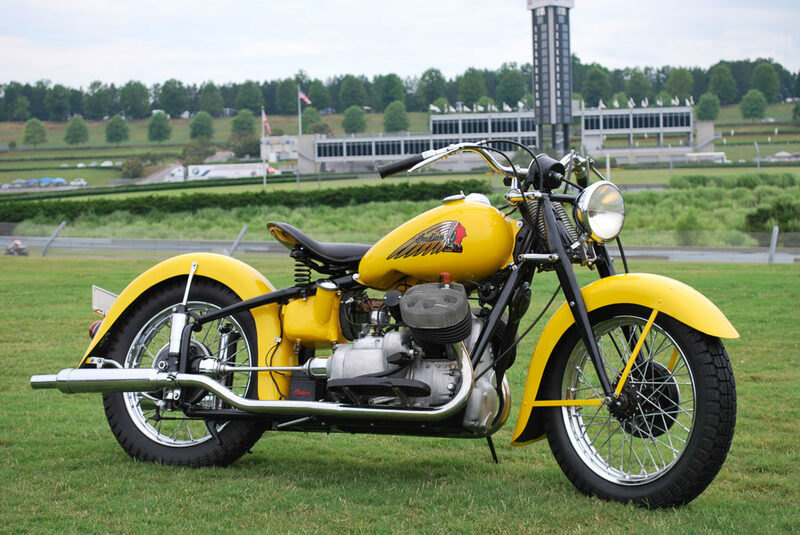 This bike came from the Leon Porter Collection out of NC. Prior to his ownership it was owned by Mr. R.F. Hensley from Atlanta. Mr. Porter told me the story of Steve McQueen’s pursuit of purchasing the bike from him in the late 70s. McQueen’s collection is legendary and it is known that he had many deals in the beginning stages prior to his death in 1980.